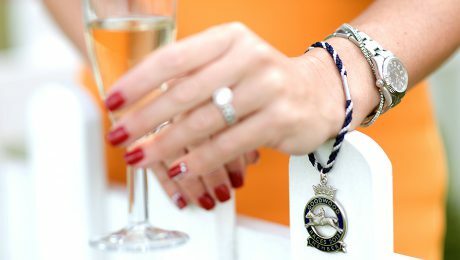 With its magnificent setting, royal connections and world-class racing, Goodwood is one of Britain’s best-known and most glamorous racecourses. Under the guidance of owner Lord March and designer Dudley Bootes-Johns, we worked on developing the brand representation, and produced a range of cohesive brand collateral for the Racecourse. We applied the brand across a wide range of materials, including signage, posters and advertising at meetings, inviting racegoers to consider becoming members. We also created a beautiful presentation pack for the exclusive metal badges, which give access to the Richmond Enclosure on racedays. 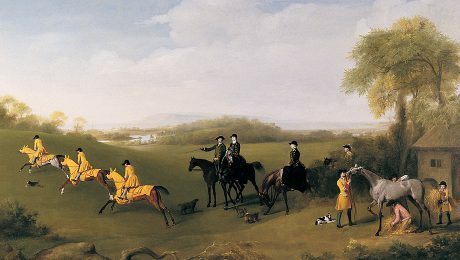 The red-and-yellow ‘Racing Colours’ colour palette for the brand was inspired by the livery of the 3rd Duke of Richmond – as depicted in the painting ‘Racehorses Exercising' by George Stubbs. Annual Membership badge of the Goodwood Horseracing Club.